Another one of our unique specialties in the summertime is the gloriosa lily flower on a vine–also known as the flame lily or climbing lily. We sell them on the vine. Each bunch is made up of three stems with three to five flowers per vine which yields at least 9 to 15 flowers per bunch. They average about 14-18″ tall and are very popular in wedding design. 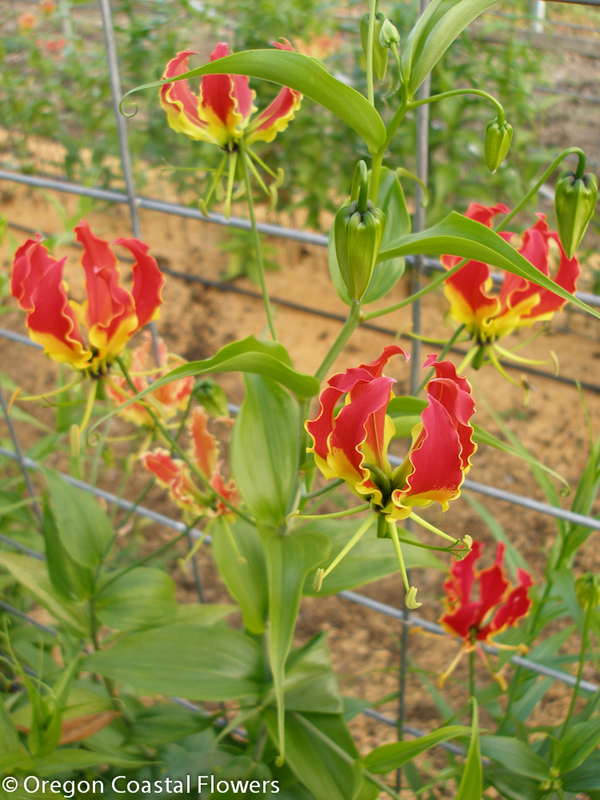 We also sell gloriosa lily bulbs and tubers on our bulb website.